Bombus impatiens (Common Eastern Bumble Bee) ♀. Size: approx. 15 mm. Photo: 09/17/11, 5 pm. 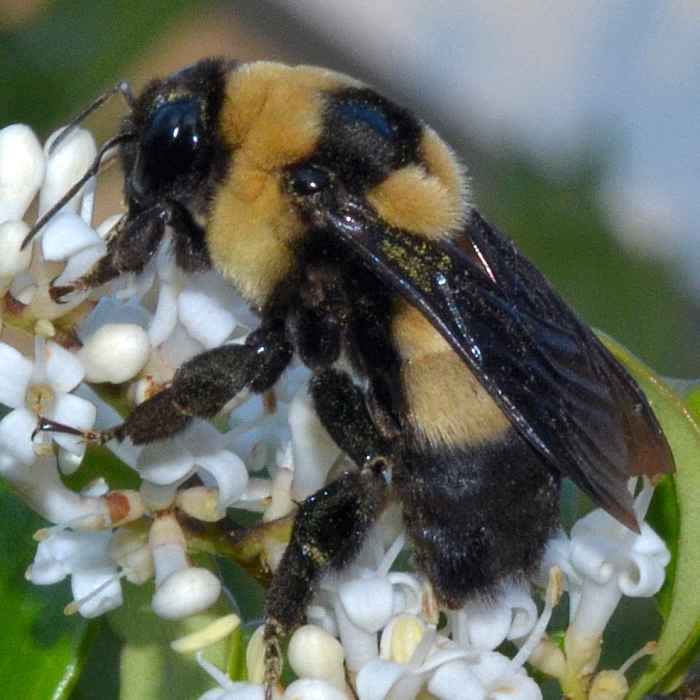 A typical bumble bee worker. 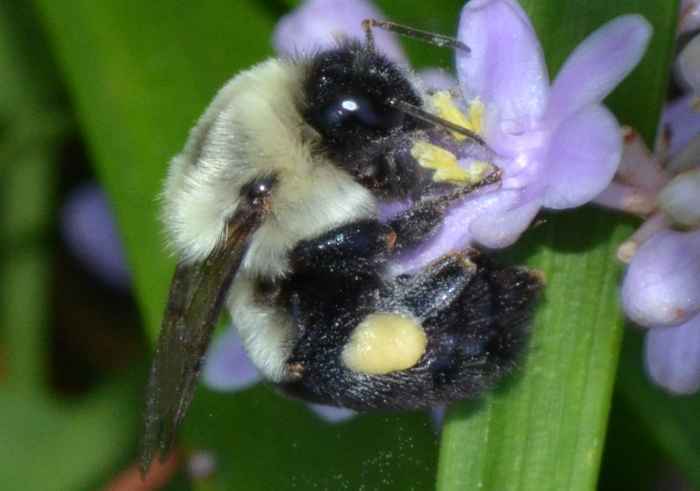 This is the Common Eastern Bumble Bee (Bombus impatiens). The species has unusually large colonies and a very long flight season. It can be found in the Eastern half of the US. Bombus impatiens (Common Eastern Bumble Bee) ♂. Size: approx. 15 mm. Photo: 10/29/11, 1 pm. 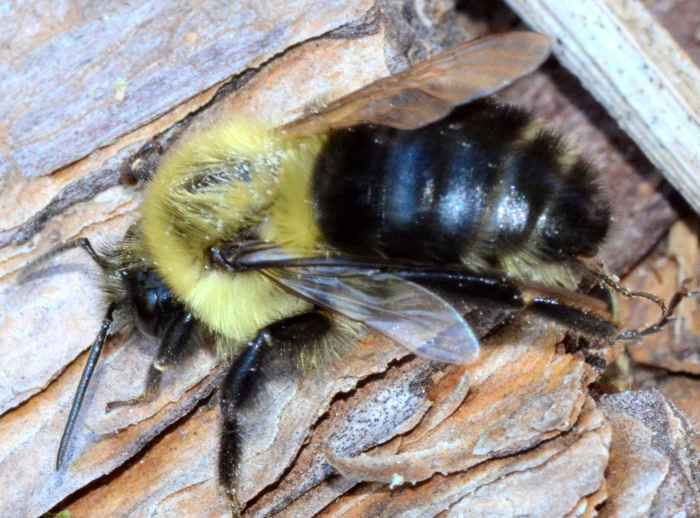 This specimen is a male of the species Bombus impatiens. Early in the colony cycle, the queen is usually the mother of all males laid. Later workers begin to lay male eggs. New queens and males leave the colony after maturation. Males in particular are forcibly driven out by the workers. Bombus fraternus (Southern Plains Bumble Bee). Size: approx. 25 mm. Photo: 04/30/12, 8 pm. 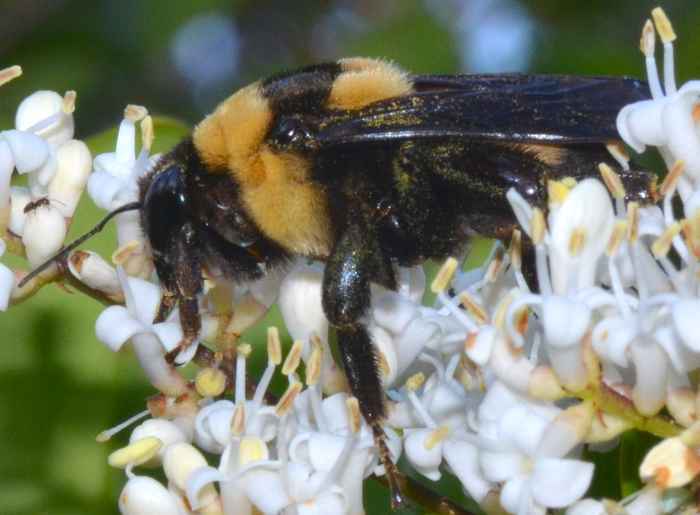 I found this big bumble bee on an evergreen ligustrum (privet) tree. 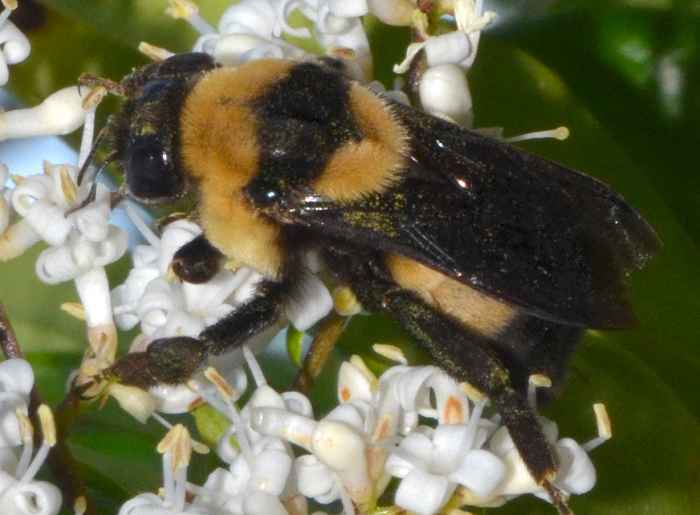 It is a Southern Plains Bumble Bee (Bombus fraternus) which is native to the US east of the Rocky Mountains. This fairly uncommon species has its hairs pressed closely against the body, which distinguishes it from most other "fluffy" species. I believe that this specimen is a queen or a male, which are larger than the workers.